Star Trek Beyond Live in Concert - Film Concerts Live! Film Concerts Live! as an epic sci-fi adventure that honors the series’ roots while delivering the mind-blowing action expected of today’s hottest movie blockbusters. And its soaring new orchestral score by Oscar®-winning composer Michael Giacchino not only breaks new ground, but also reprises many of the beloved musical themes he created for the prior two Star Trek installments. Three years into their five-year mission, the crew of the USS Enterprise is feeling the pressure of a lengthy assignment in deep space. After a brief respite on the enormous space station Yorktown, Kirk volunteers them for a rescue mission in a nearby uncharted nebula. The distress call quickly turns into a devastating surprise attack from a swarm of killer spacecraft commanded by the fearsome warlord Krall, who seeks the abronath – an ancient relic housed in the Enterprise’s vast archives that is the key to unleashing an unstoppable bioweapon capable of destroying the entire Federation. With the help of Jaylah, a resourceful scavenger and herself an escapee of Krall’s prison, Kirk and his crew struggle to warn the Yorktown of its impending destruction before Krall and his swarm of killer ships can overtake the massive space station and launch his doomsday weapon. 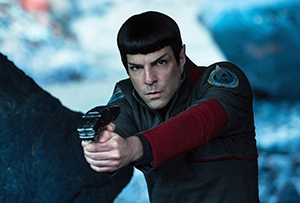 The film is dedicated to the memory of actors Leonard Nimoy (Spock) and Anton Yelchin (Chekov), whose magnificent contributions to the Star Trek legacy will remain forever in the hearts and minds of fans around the world. 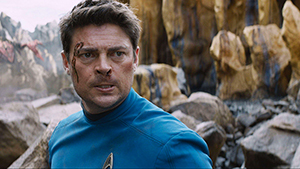 Star Trek Beyond licensed by Paramount Pictures. Motion Picture, Artwork, Photos © 2016 Paramount Pictures. Star Trek and related marks and logos are trademarks of CBS Studios Inc. Oscar © A.M.P.A.S. All Rights Reserved. 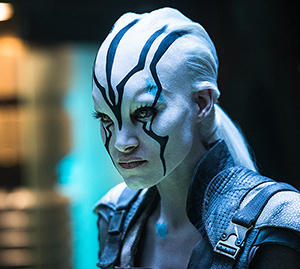 Star Trek Beyond Live available worldwide with limited territories in Europe. Contact Film Concerts Live! For more details.